Matted and crystal-glass vase has one more unexpected function: a reversed vase becomes a stylish and sparkish candlestick. 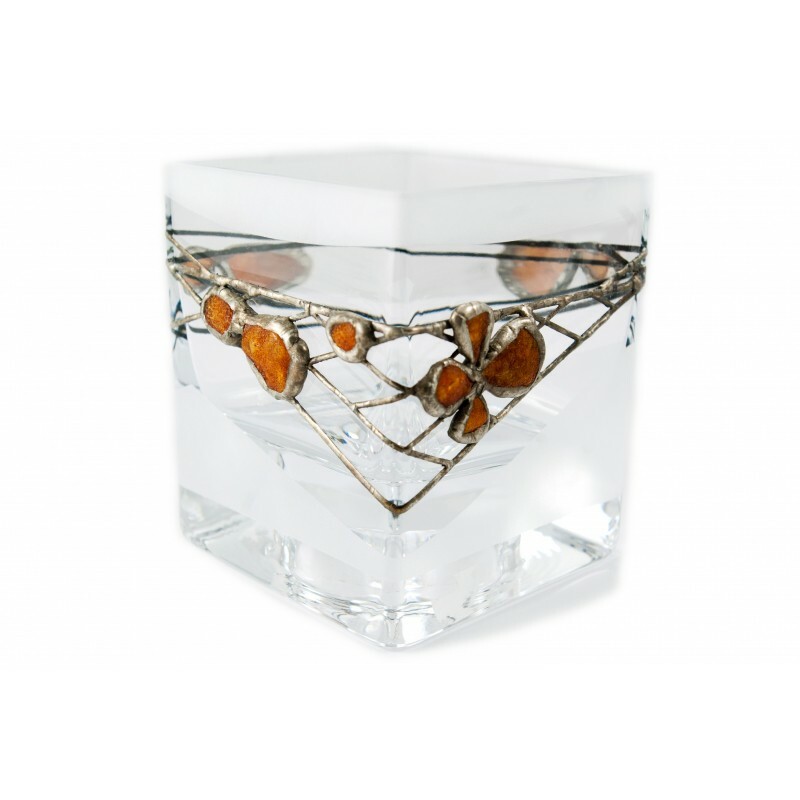 A vase is decorated with tin tracery and cut-amber pieces. It is a practical and delicately-elegant gift.